GeoWall is a competitive project where we build a mechanically stabilized earth (MSE) retaining wall using poster board and paper reinforcement. The competitive portion of this project is where we have to use the least amount of material needed to reinforce the retained soil and design loads. While this is the main challenge in the project, understanding and applying concepts like soil mechanics and reinforcement properties is equally challenging and important. In Fall Quarter, we first conduct laboratory tests, introducing new members to several testing procedures, sieve analysis and the triaxial shear test. Using the data from our tests, we develop an optimal design for the kraft paper reinforcements and its arrangement onto the poster board wall. We also construct an apparatus called a sandbox which encases the poster-board MSE wall. The sandbox must have an open top and removable front and side panels that are removed to expose the MSE wall during testing at the competition. When the wall and sandbox are complete, we place the wall inside the sandbox and finally subject our GeoWall to testing! We load backfill material like sand into the sandbox, detach its removable panels, and perform vertical, lateral, and dynamic loads. We practice this overall process several times prior to the competition as the setup and testing processes are the same. In our practice, we make sure to carry out the procedures carefully and efficiently because there is penalty for losing backfill and exceeding the time limit in the competition. 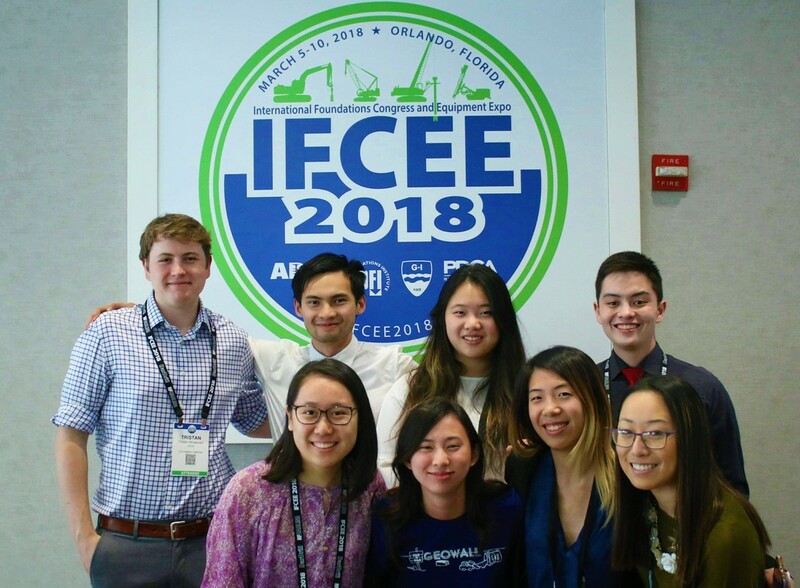 UCLA GeoWall Team at IFCEE 2018. We have been doing the GeoWall project and competing in PSWC (Pacific SouthWest Conference) since 2010. And since 2011, we have been accepted to and competing in the national competition every year. In 2015, we received second place in the PSWC GeoWall competition. We also placed sixth at Geo-Congress in its GeoWall competition in that same year. In 2018, we received fourth place in the PSWC GeoWall competition. We also placed eighth at the IFCEE Congress in its GeoWall competition in that same year. 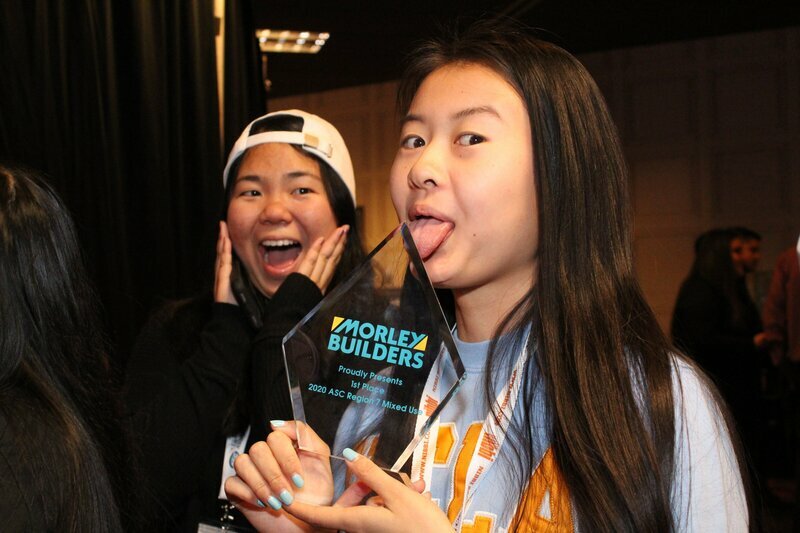 We hope to keep it up and work harder than ever to earn the top spot in the competitions this year! To do well at competition, we do a lot of practice! This requires us to purchase extra sets of project materials like poster board, backfill, kraft paper, and plywood. We would really appreciate it if you can help us fund this project. Please contact our Project Manager for more information.